The Clinic welcomes all feedback. If you have a problem, we would like to hear about it. A suggestion box is available at Reception and complaints can be made verbally or in writing to the Practice Manager at any time. We take your concerns, suggestions and complaints seriously and value any input you may wish to make. The Victorian Health Services Commissioner is able to receive and resolve complaints about health service providers including complaints about disclosure of health information and access to health information. 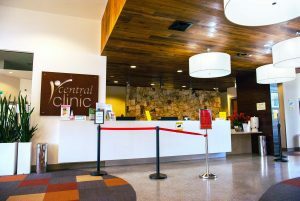 Do you have feedback about Central Clinic? You can also leave a review on our Google Maps Business Page to let others know what you thought of our service!